Ecommerce has effectively democratized retail: anyone, anywhere can open up an online shop and sell their wares to people near and far. Not only does this give shoppers more options to choose from, it also allows them to base their purchase decisions on more than just price: brand story, product quality, and corporate integrity have all become distinguishing factors. In order to demonstrate this developing trend, we'll be singing the praises of our favorite brands in our new "Brand Crush" category beginning with today's honoree: Rainbow Sandals. Before a recent vacation to the West Coast, I was frantically tearing my house apart, searching for the one thing I couldn't possibly leave behind: my Rainbow Sandals. Unlike last summer's jean shorts and white t-shirts, my rainbow flip flops won't be replaced this summer, nor likely the summer after that. Purchased in the summer of 2010, these magical sandals only get more comfortable with every passing year thanks to the memory-foam-like layer of dense sponge rubber, invented by company founder Jay “Sparky” Longley, that conforms to the shape of each individual's foot. Most flip flops would be wrecked by 4 years of beach frolics and boardwalk strolls, but my rainbows still look nearly brand new. • Creating a strap with 2000lb. test nylon webbing to prevent stretching. • Utilizing the Box 'X' Stitch used in parachutes to secure the toe piece. • Finding new sources of leather for the right look, feel and longevity. 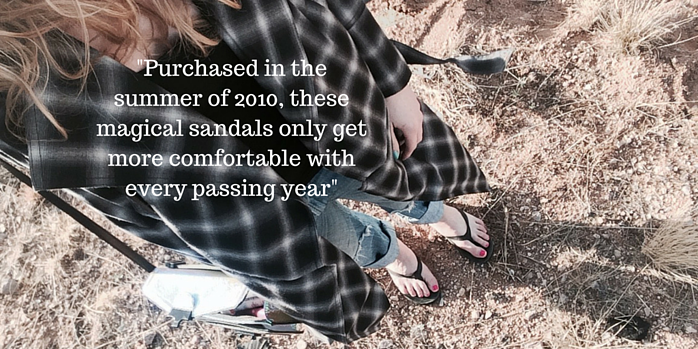 Rainbow Sandals stand behind the quality of their products with a lifetime guarantee: the lifetime of the sandal's sole that is. 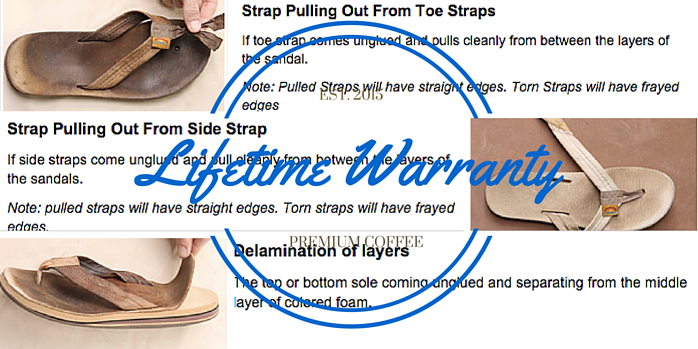 If the strap breaks or comes loose or if the sole peels apart, Rainbow will replace them, which is a great way to instill consumer confidence in the brand. 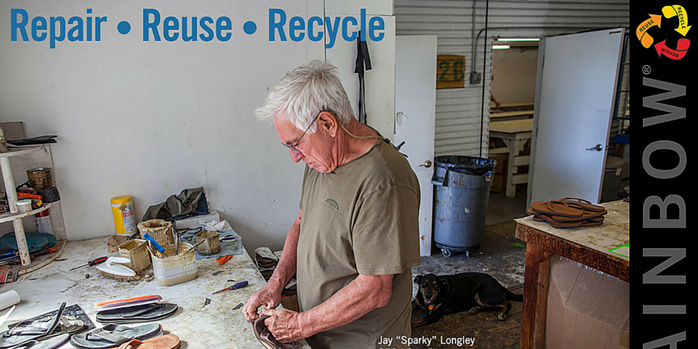 Rainbow Sandals motto is "Repair, Reuse, Recycle" and they take it very seriously. 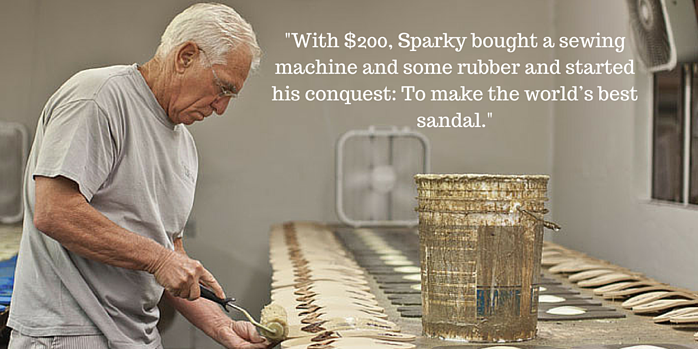 From the day Longley saw that discarded flip flop on the beach and began making his own his goal has been to create something that doesn't end up in a landfill, and Rainbow Sandals makes good on that promise. On their website they ask shoppers to return any Rainbow sandals with "a little life left" so that they can repair, and donate, them to "protect the feet of the homeless, orphaned, and victims of natural disasters." 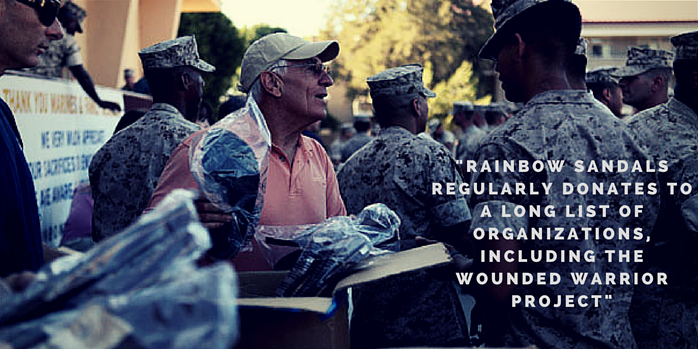 Rainbow Sandals regularly donates to a long list of organizations that include local schools, youth organizations, and veteran assistance organizations like the Wounded Warrior Project. Check out a the full list of organizations here. 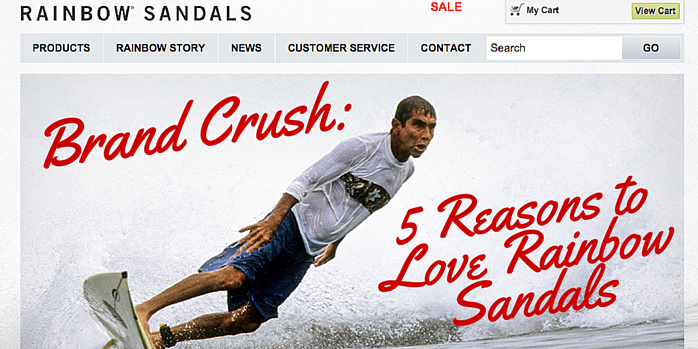 As the retail landscape continues to change, Rainbow Sandals shows us that only one thing remains certain: brands that pursue excellent quality, fantastic customer service, and a strong sense of community will continue to thrive for decades to come.